True Book Addict...True to Books: Cat Thursday - Happy Fall, Sarah McLachlan and Random Fun! 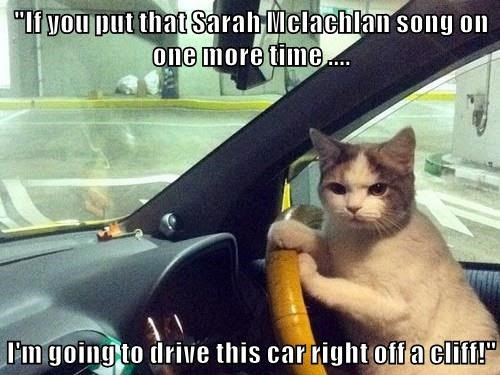 I love all the pics with the funny captions! Good luck with the CPAP device! My husband has a CPAP and he loves it! The kitties aren't really afraid of it, they just sleep by his feet instead! 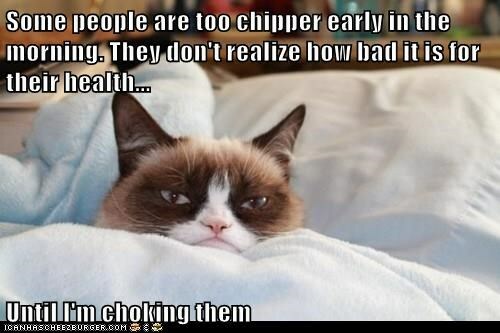 LOL I am so in agreement with Grumpy Cat. 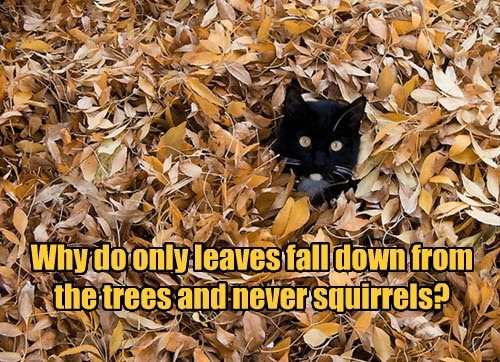 The leaf one, yeah, I bet cats wonder that too. Good luck with the CPAP. My BIL used one, said it helped a lot. Hope you are sleeping better soon!! Loving those kitty cartoons. 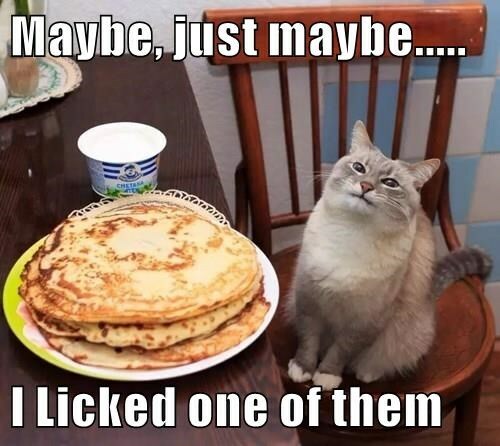 The last one put me in mind of one of our cats who showed such an interested in any food. Oh, that last one reminds me of my big boy! Today I was nibbling on some leftover topping for an apple crisp and that damn cat stuck his face in the bowl and licked. I have no idea what would have even made him think he would want it but it might be my new diet plan!